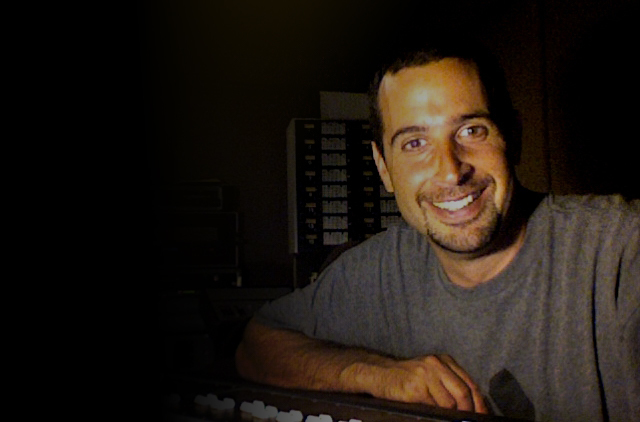 Ben Krames is a record producer and sound engineer with over 20 years of experience in both the live and studio environments. He is also a multi-instrumentalist, songwriter, and educator. The grandson of singers and musicians, Ben first picked up the drumsticks at age 5. To learn more about the african roots of american music, Ben ventured to Cuba, where he studied at the National School of the Arts in Havana and in the streets of Havana with the rumberos. He continued building his knowledge base in music theory and composition at the renowned Berklee College of Music. Decades of touring with renowned artists in South America, Europe, the Middle East, Asia, and beyond have imbued Ben with international sensibility and versatile flavor. He has worked with Patti Labelle, Ben Harper, Groundation, Raz Kennedy, Michael Franti, Sister Carol, Mickey Dread, Yousoupha Sidibe, and Orchestra Candela, among many others. Ben’s passion and musicality cross boundaries of genre, language, and ethnicity. Whether it’s Pop, Rock, R&B, Afro-Latin, EDM, Classical, reggae, or Jazz, he enjoys bringing the best out of artists in every realm. Adept in songwriting, composing, arranging, vocal coaching, sound editing, ear training, and studio/live mixing, Ben honed his skills working at world-class studios and stages. He has engineered, produced and mixed for Dwayne Wiggins (Destiny’s Child, Alicia Keys, Toni Tony Tone), Keith Olson (Grateful Dead, Fleetwood Mac, Ozzy Ozbourne, Pat Benetar), Junior Reed, E-40, Too $hort, and many other certified platinum and chart-topping artists. As the owner of BKP, a state-of-the-art digital and analog recording studio, he has produced singles and records for a diverse roster of over 100 musicians and media outlets, including GRAMMY-winning reggae singer Yami Bolo, HBO, Warner Brothers, Univision, and Indie Award winner Kev Choice. He strives to ensure all aspects of a project, from composition to mixing and mastering, are executed with integrity and excellence.